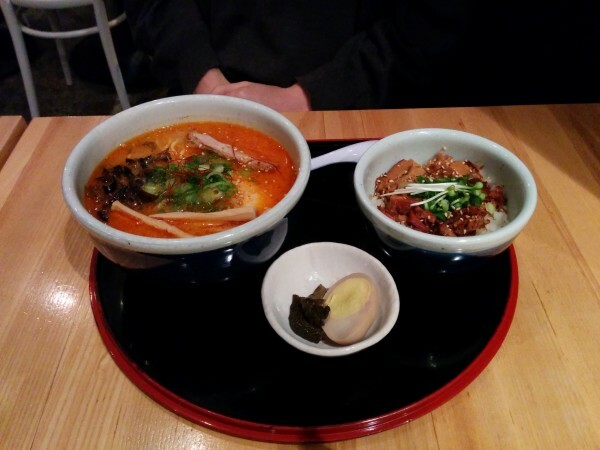 One of my favourites is Santouka Ramen, located on Dundas St. E, just by Ryerson University. 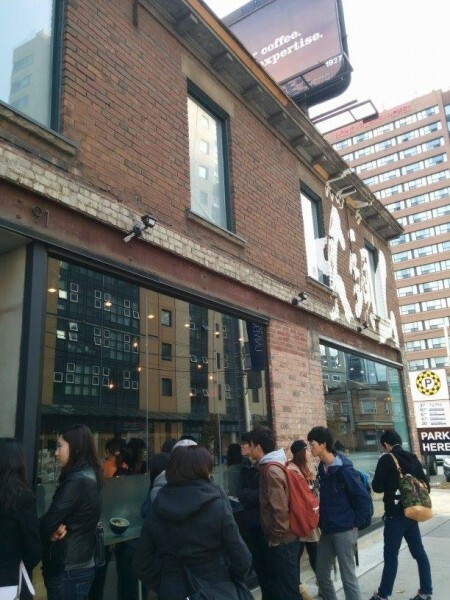 You should know that there are lineups (even in negative degree winter weather), but waiting is worth it. If you want to be a bit more crafty and are willing to compromise on the time that you eat, check it out at lunchtime during the week or when it first opens for dinner and you should be able to get a table in a flash. 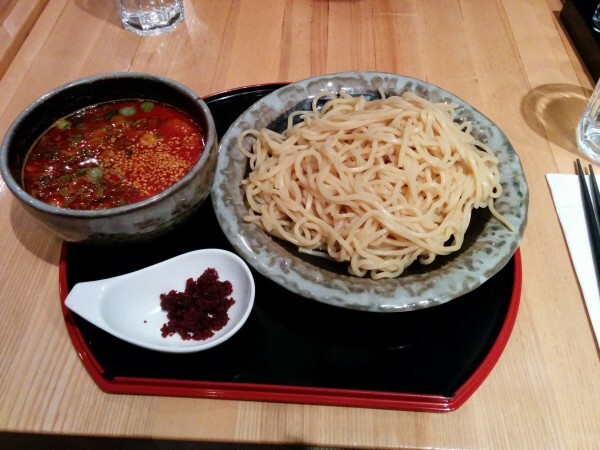 There are only two types of tsuke-men on the menu, one with a soy dipping sauce, and the other made with the same base but levelled up on the spice. Feeling inspired after watching David Chang’s The Mind of Chef noodle episode, tsuke-men was a no-brainer choice for me. 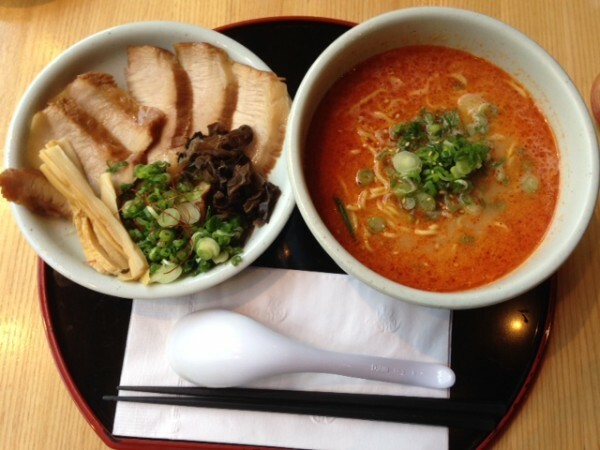 Cold ramen noodles – twice the portion size of regular ramen – are served alongside a bowl of deep, flavorful, spicy broth that instantly gives the noodles a ton of punch. The soft boiled egg, slabs of fatty, tender pork and mushrooms make this an unforgettable dish. 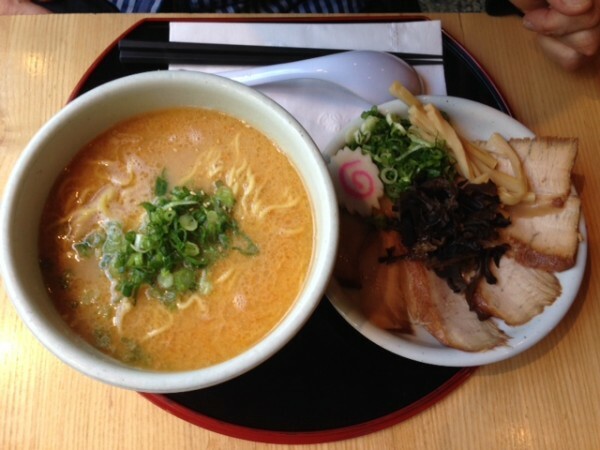 The toroniku shoyu ramen has an amazingly creamy, velvety smooth taste. 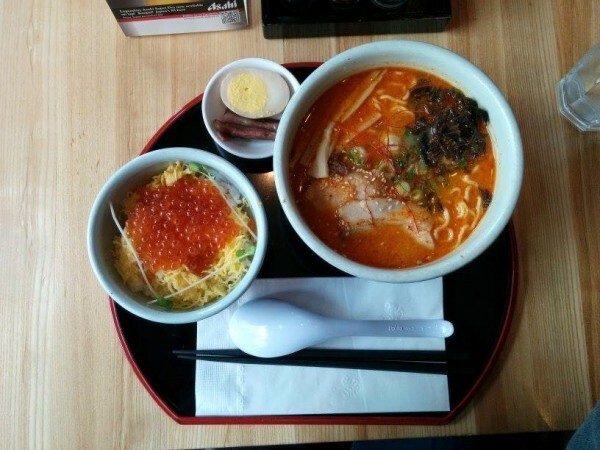 WIth a broth made from pork bones simmered for hours (the base for all great ramen broths) and soy sauce flavored cha-shu on the side, this bowl is a classic for those who long for a more traditional taste of Japan. The kara miso is the bowl I’ve ordered the most often from Santouka: as a single serving and as a a combo, with negi meshi pork (so tender) or ikura. Brilliant, brilliant stuff. 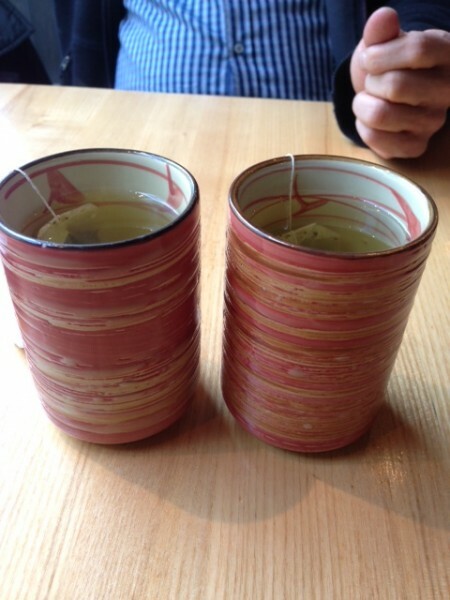 The noodles are bouncy and supple and take in the flavours of the broth superbly well. Strongly recommend you try this one, especially if you like a bit of a kick in your ramen. Miso is probably the most famous type of broth to exit Japan and make its way into mainstream vocabularies. 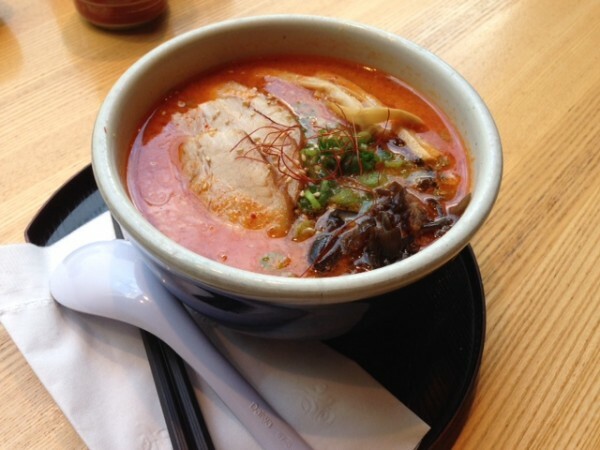 The miso ramen here does it justice – after tasting Santouka’s version, you can see why miso is so popular. Check the the special dessert menu at your table to see what kind of sweets Santouka has in store for you. 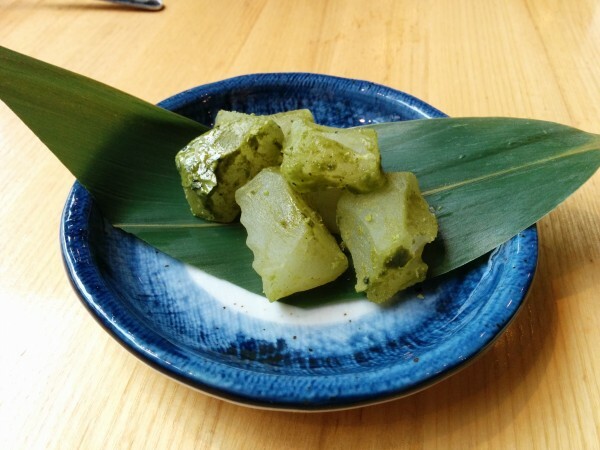 We had the chance to try the matcha mochi, which came diced up in bite sized cubes. Rolled in matcha powder, the mochi has a slightly bitter/sweet taste, perfect for those who prefer subtler, less sweet desserts. 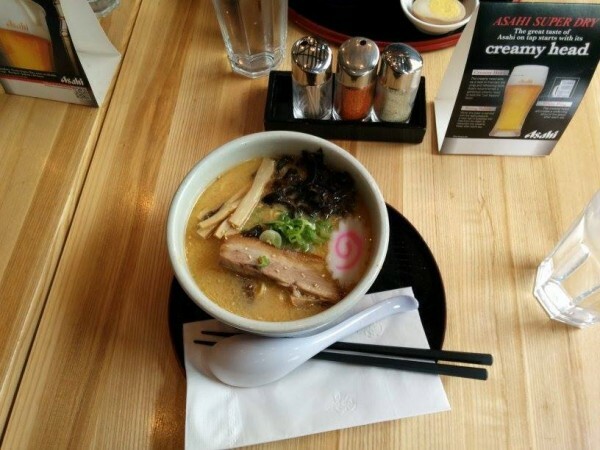 Tags: Dinner, Dundas, Japanese, Lunch, Ramen, Ryerson, Santouka Ramen, Toronto.